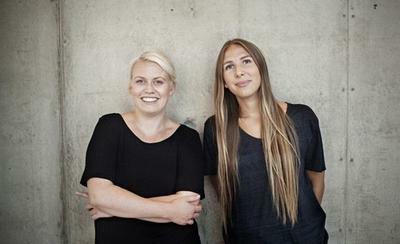 Günzler.Polmar Team is a Norwegian design studio founded by Victoria Günzler and Sara Wright Polmar. The two designers met in Oslo while they were both studying Interior Architecture & Furniture Design at the National Academy of Arts. After graduating in 2011, they decided to launch their own design studio. Their work has been shown at design fairs and exhibitions in Paris, London, New York, Stockholm and Oslo. As the designers claim their work is driven by the aspiration to make an impact on people’s daily lives. They do not separate the nature of their work between functionality and aesthetics but in contrary, they believe they need both elements integraded in their designs.